The innovative JE series of reversible electric actuators delivers the latest technology at an unmatched value. This feature-rich line was designed for ease-of-use and reliability. JE Series actuators are multi-voltage capable with automatic voltage sensing for AC or DC power supply, reducing the opportunity for user error. Standard features include a protective electronic torque limiter, emergency manual override, and an internal, thermostat-controlled, anti-condensation heater to help prevent damaging moisture build-up. 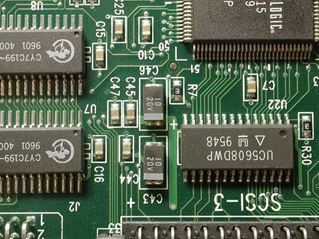 External DIN plug connectors allow for quick and easy wiring without the need to open the unit, while practical and distinctive external indicators help to simplify operation and diagnostics. Additional factory-installed options are available. 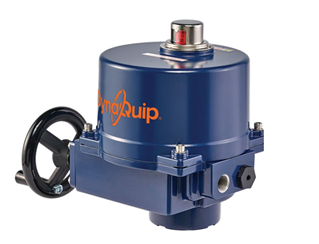 JE Series actuators are lightweight, compact, and quick and easy to install. They are ideal for quarter-turn automation of ball valves, butterfly valves and dampers. The MA series of electric actuators are ultra-compact and provide a high output-to-size ratio. In addition, the MA series has a multitude of features not normally found in this class of actuator. 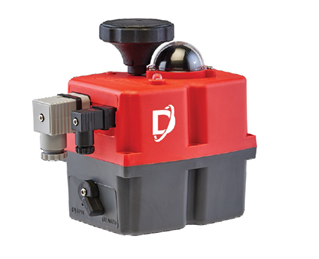 Additional dry contact limit switches within the control housing to indicate various valve positions remotely, or to sop the valve at intermediate positions, or to control other pieces of equipment, such as pumps. Various NEMA ratings available to meet specific environmental requirements: watertight corrosion resistant, or explosion proof. Special housings for high-pressure wash down are also available. Adjustable time intervals and length of time open and/or closed. Accepts a 4-20 mA, 0-5 VDC, or 0-10 VDC control signal to position the valve at various degrees of open/close. Gives a continuous remote indication of the degrees or percent of opening based on either a resistance output of 1 - 1000 ohms or a current output of 4-20 mA. Other options are available. Battery backup system that allows normal operation of actuator with 120 volt AC but converts battery DC to AC upon incoming AC power failure. 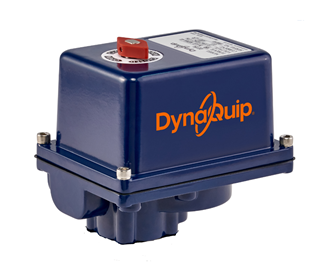 Fail-safe spring backup system within the electric actuator takes over upon loss of AC power. Please contact us directly to inquire about electric actuator options available for your specific application. To chat, click on the "Chat Live" button above.